I just finished this intense listen. I loved this disturbing novel. 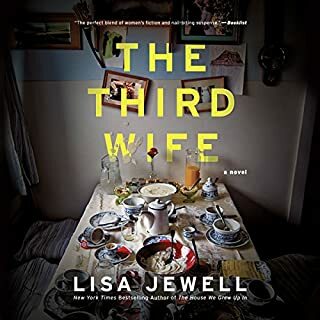 Lisa Jewell is my new favorite author, and the narrator is fabulous. Now I am busily cleaning out my closet and drawers (listen to this book, and you’ll likely do so as well). I have found another favorite author! 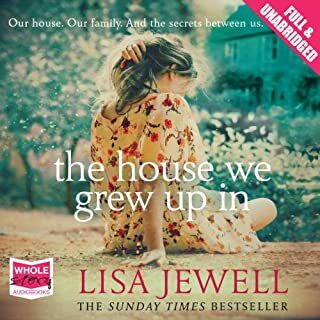 This is my first Lisa Jewell novel. 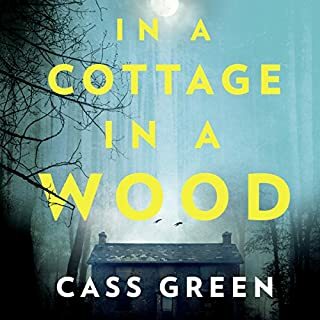 Complex characters, compelling family drama, with some mystery; I whipped through it in 2 days, and bought another audiobook by this author to follow. Excellent narration as well. I'm a stickler for narrators. Please give me more Stryke and Robin soon! This series gets better and better. Please start at the beginning. As each novel solves a separate case; the big picture story, about the primary characters, evolves with each book. I have listened to the first three books twice already; they depth and excellence makes them timeless. This author-narrator combo never fails. 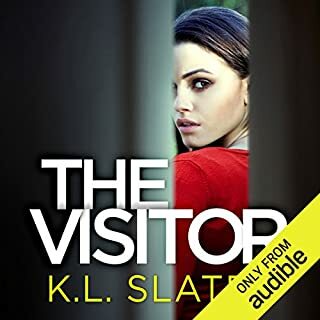 The Visitor is another deliciously creepy psychological thriller by K.L. Slater, exquisitely arrayed by Lucy-Price-Lewis. As in all her novels, there is deep character development, rich layering, and vivid sense of place. 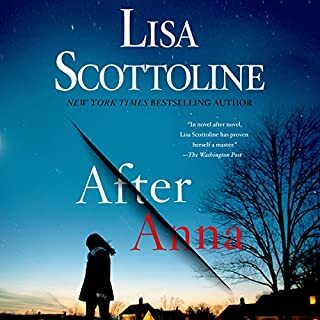 I tried one of her books as a daily deal, and am now hooked. 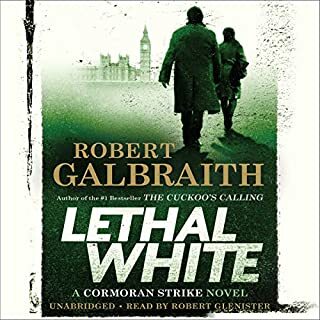 I love this narrator so much, I have discovered other authors, by searching for more of her narration. I enjoyed this. It was full of twists and surprises and was quite dark and disturbing. Very good narration. It is 1939. 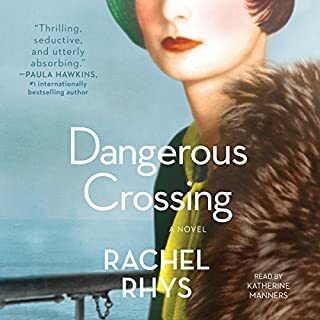 Europe is on the brink of war when young Lily Shepherd boards an ocean liner in Essex, bound for Australia. She is ready to start anew, leaving behind the shadows in her past. The passage proves magical, complete with live music, cocktails, and fancy dress balls. The voyage shows Lily places she'd only ever dreamed of and enables her to make friends with those above her social station. She even allows herself to hope that a man she couldn't possibly have a future with might return her feelings. But Lily soon realizes that she's not the only one hiding secrets. DO NOT FALL FOR THIS SYNOPIS! Best listen in a very long time! This intriguing, character driven story is based on real people and actual events. 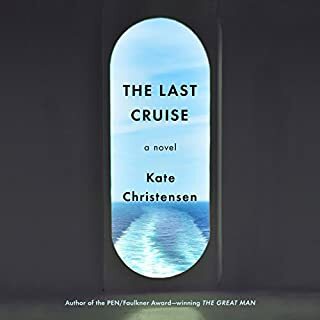 The fact that it takes place on an ocean crossing during the xenophobic buildup to WWll reminded me of Katherine Anne Porter’s “Ship of Fools;” but this book is far more intimate and compelling, in part due to the narrative point of view, as well as the content of the story and the finely developed cast of characters. Ms. Manners’ narration is superb. I am so sad that this binge listen is over. I absolutely will return to this stellar new classic! This was a Daily Deal which surprisingly is also one of my favorite listens in a long time. Unlike some other reviewers, I found the pacing of the storyline flawless. 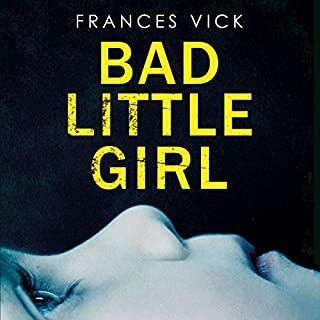 The characters and the relationships are intricately developed, with nuance and rich atmospherics, which create the creepy pressure of this slow cooker psychological thriller. Yes, we realize early on that Lorna is trouble, and that Clare’s compassion will lead her to make poor choiçes; but the way this plays out is not at all predicable. I was never bored, and was sorry when this wild ride was over. I loved Katherine Manners as narrator. Everything about this audiobook is perfect. I envy you if you are about to embark on this disturbing literary adventure. These are my favorite characters in all of fiction, and I will miss them until Ms. George writes another installment in the Linley series. 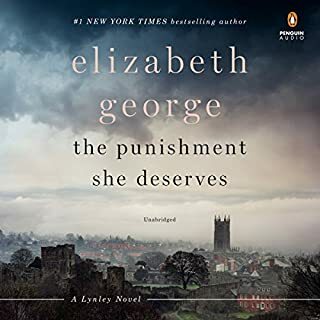 This is one of my favorites; darkly intense and richly layered, at which Ms. George is the master. Simon Vance’s narration is perfect. He IS Thomas Linley, and does a great job with Barbara Havers as well. John Lee wasn’t as good a match for this series. I envy you if you are about to embark on this mesmerizing long listen or read. I devoured this in two days; am sad that I’ve finished. A really transfixing psychological thriller, quiet and deep, with profound character development. The narration is perfect, tone and timing are never distracting. This story moves along, sweeping one with it. What a treat!